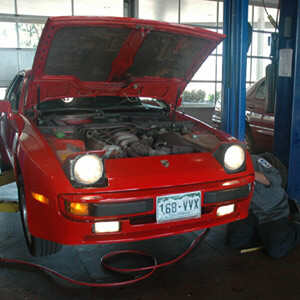 Looking for an auto repair shop you can trust right near Highlands Ranch? 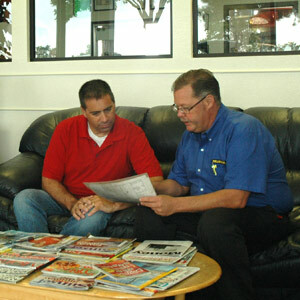 Visit Keller Bros. Auto Repair to see why our auto shop is your trusted source for auto repair in Highlands Ranch, CO! We are located just minutes north just east of Broadway on Dry Creek Road. With over 40 years of experience, our ASE Certified technicians have the expertise to provide quality, trusted service for any auto repair and maintenance your vehicle needs. From oil changes, fluid flushes, alignments, and other preventative maintenance to major engine repairs, our auto repair shop is your one stop for comprehensive car care right near the community in Highlands Ranch, CO! Stop by our auto repair shop to see why Keller Bros. Auto Repair is your trusted source for car repair and maintenance in Highlands Ranch, CO! We are open Monday-Friday, 7 am to 6 pm.